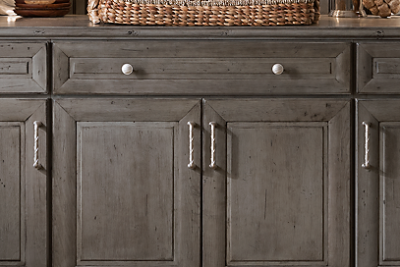 Simple maintenance and care will keep your cabinetry beautiful for years to come. Once your cabinets have been installed, wipe down all exteriors and interiors with a damp cloth to remove dust, drying immediately with a dry cloth. Regular exterior and interior cleaning requires only wiping with a damp cloth and then drying. Periodically use mild soap and warm water to clean door and drawer hardware. After cleaning, dry and buff hardware with a clean, soft cloth. Do not use brass and silver polishes. Spray an ammonia-free glass cleaner on a clean, soft, lint-free cloth or paper towel. Avoid spraying cleaner directly on the glass. 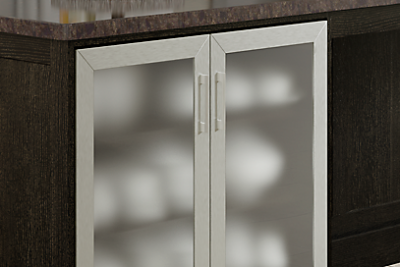 Use soap or mild detergent and warm water to clean aluminum and glass. DO NOT use an abrasive cloth to clean aluminum or glass. Avoid spraying cleaner directly on aluminum or glass, apply the soap or mild detergent to a soft damp cloth. 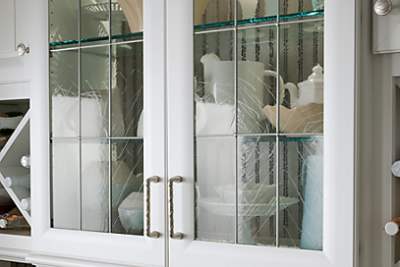 Keep your new cabinetry looking beautiful. 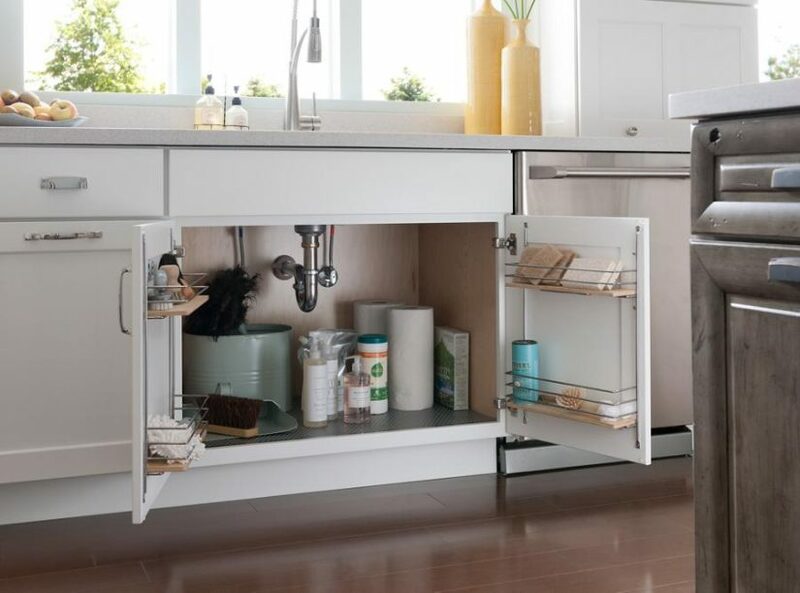 Learn how to use the repair kit included in every sink base cabinet.